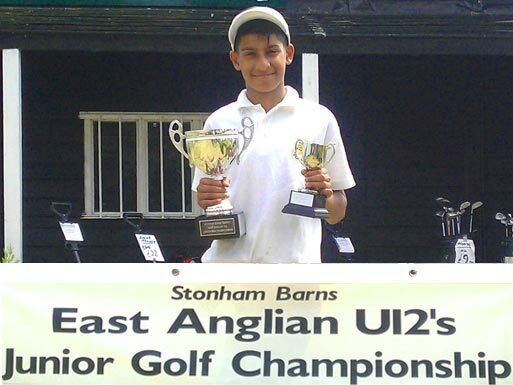 In 2nd place was the 2011 champion, Ryan Turnbull from Cretingham Golf Club, who scored 70 and in 3rd place was 10 year old Stonham Barns player George Evans, who scored a 72. 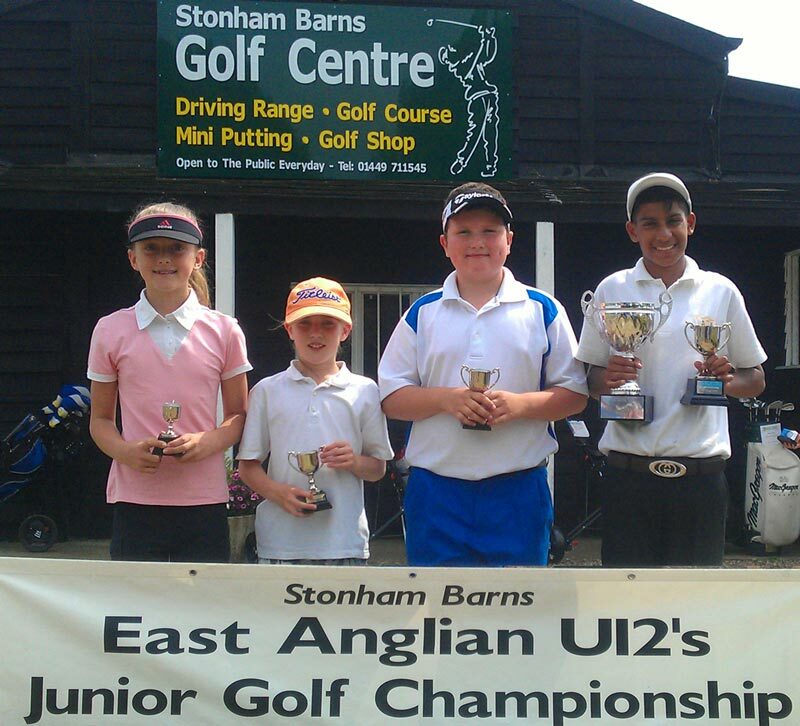 In the Age categories the Under 10’s was won by Oliver Underhil-Smith, a 10 year old from Barnham Broom in Norfolk with Joshua Hulyer, a 10 year old from Haverhill in 2nd place and in 3rd place was Mary Cuthbert, a 10 year old from Thorpness Golf Club. 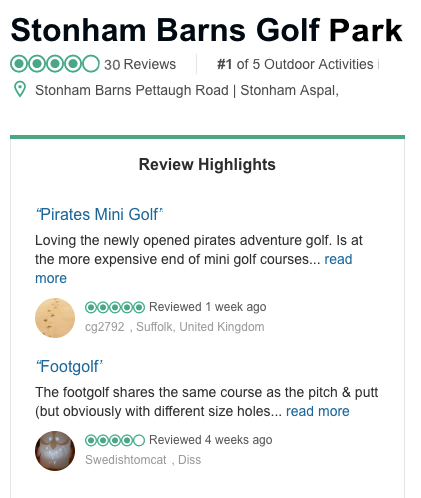 In the Under 8 category the winner was another Stonham Barns player, 8 year old Grace Evans with Henry Meadows, Will Bradfield and Joshua Southgate in equal 2nd place. 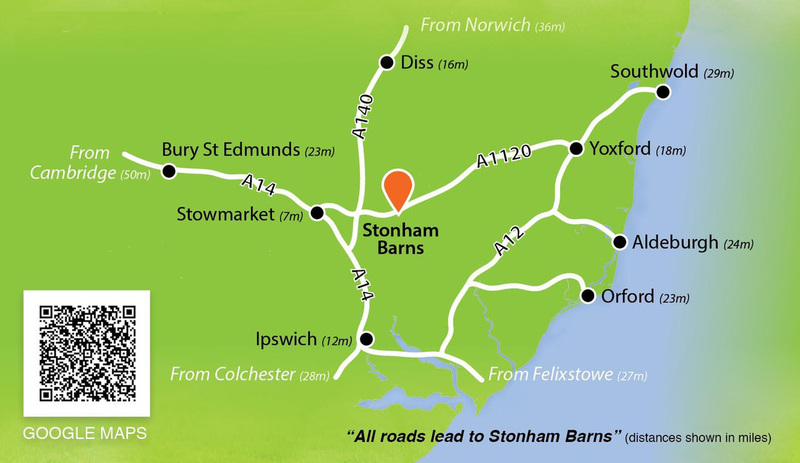 This is the 13th playing of this popular junior event which is played on the short 9 hole course at Stonham Barns. Past winners have included players that have gone on to represent England at International level. The players play 18 holes (twice round the par 29 course). 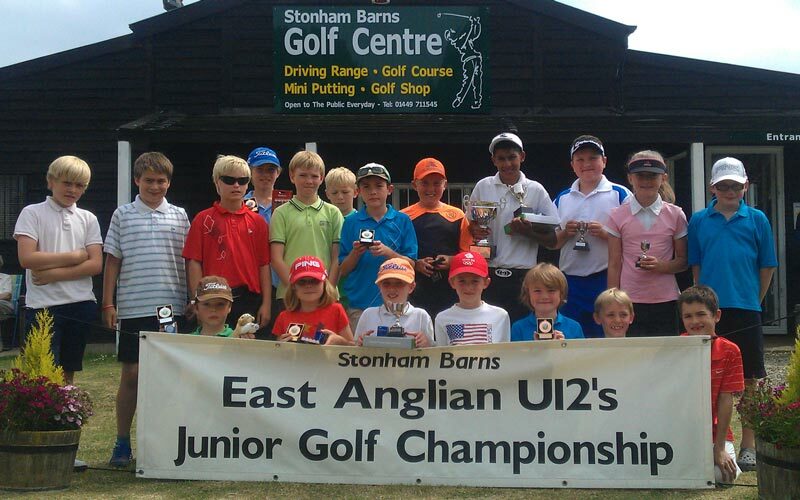 This year there were players from 13 different Suffolk Golf Clubs with ages from 7 to 12 years old.